Breaking the cycle of homelessness. Our main location in Downtown Everett, WA. Thanks for taking a closer look. This gift can be purchased online from Amazon. What would you like to do? One more thing: ship your gift from Amazon to the following address. A copy will also be sent to you by email. Please note! If you decide to purchase this item later — whether in-store or online — you’ll need to come back to this screen and select “GIVE THIS GIFT”. It’s the only way to update Cocoon’s registry and view their shipping address. Thank you! 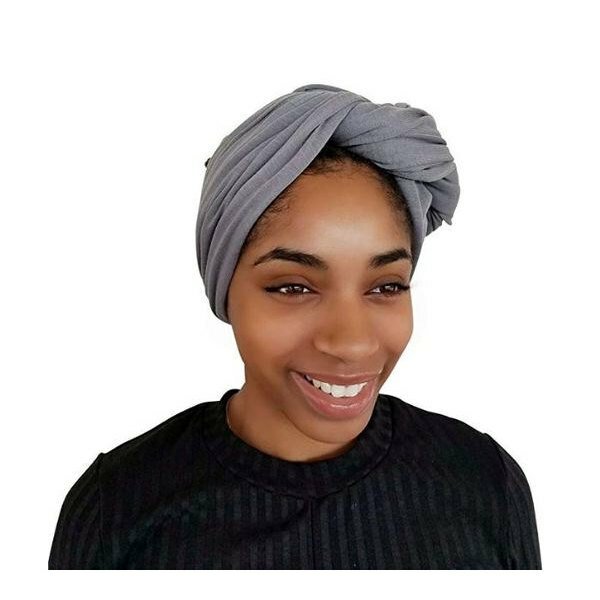 The registry has been updated with this gift from you: 1 of the "Sleep Scarf - ALL" from Amazon. If you've changed your mind or the item was out of stock at Amazon, please check your inbox for an email from Thankful for next steps. Thanks for taking a closer look. This gift can be purchased online from Anywhere!. What would you like to do? One more thing: ship your gift from Anywhere! to the following address. A copy will also be sent to you by email. Thank you! 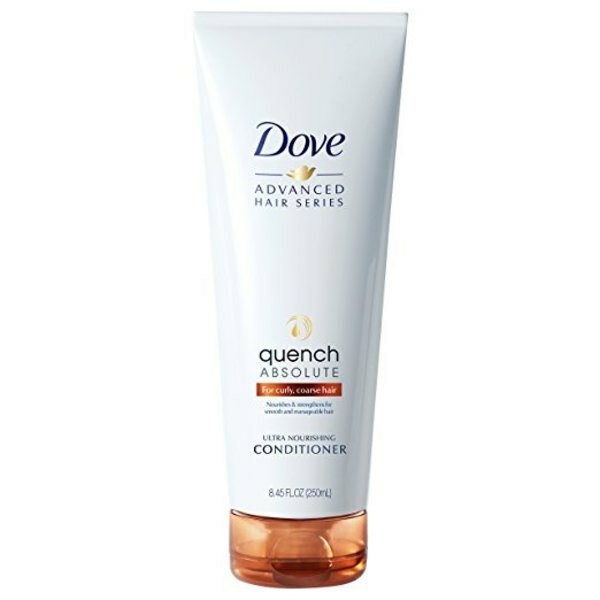 The registry has been updated with this gift from you: 1 of the "Hair Conditioner - ALL" from Anywhere!. If you've changed your mind or the item was out of stock at Anywhere!, please check your inbox for an email from Thankful for next steps. Thank you! 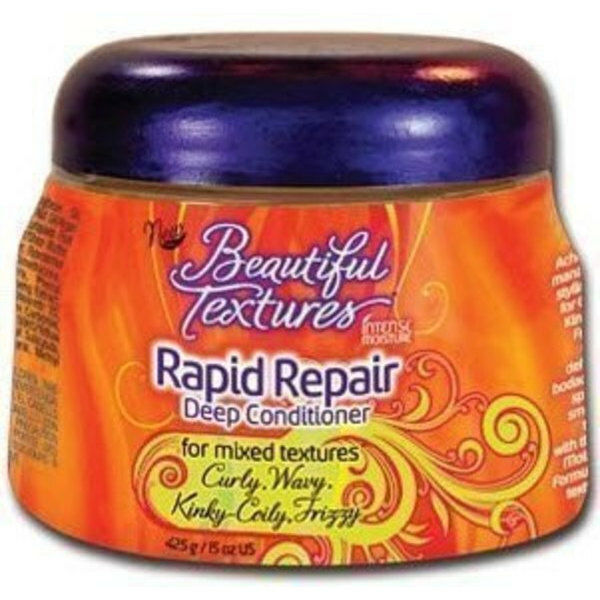 The registry has been updated with this gift from you: 1 of the "Smoothing Shampoo & Conditioner ALL" from Anywhere!. If you've changed your mind or the item was out of stock at Anywhere!, please check your inbox for an email from Thankful for next steps. Thank you! The registry has been updated with this gift from you: 1 of the "Tide PODS - ALL" from Anywhere!. If you've changed your mind or the item was out of stock at Anywhere!, please check your inbox for an email from Thankful for next steps. Thank you! The registry has been updated with this gift from you: 1 of the "Womens Underwear-All Sizes & Styles ALL" from Amazon. If you've changed your mind or the item was out of stock at Amazon, please check your inbox for an email from Thankful for next steps. Thank you! 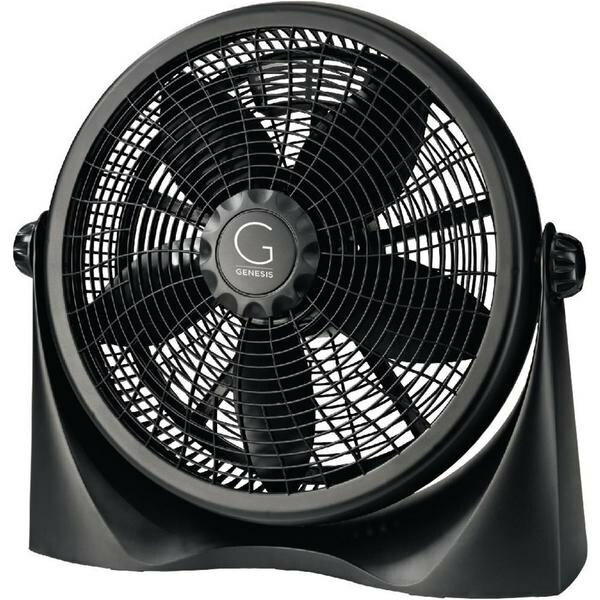 The registry has been updated with this gift from you: 1 of the " Table Fan/Floor Fan 16" COMPLEX" from Amazon. If you've changed your mind or the item was out of stock at Amazon, please check your inbox for an email from Thankful for next steps. Thank you! The registry has been updated with this gift from you: 1 of the "Assorted Hair Brushes-ALL" from Amazon. If you've changed your mind or the item was out of stock at Amazon, please check your inbox for an email from Thankful for next steps. Thank you! 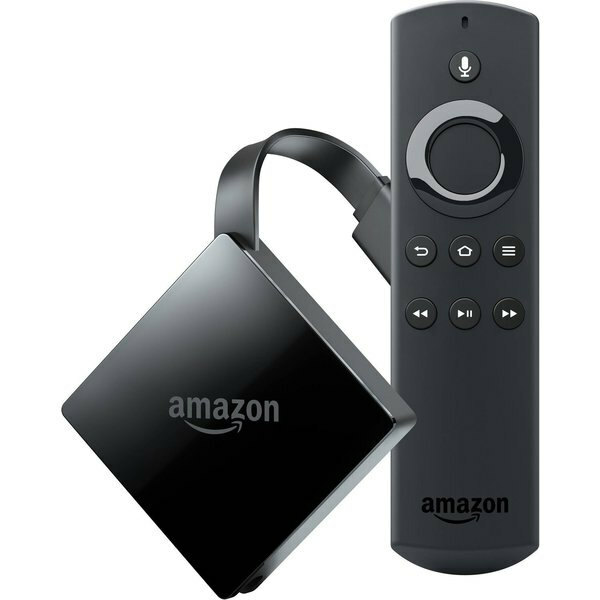 The registry has been updated with this gift from you: 1 of the "Amazon FireTV Streaming Device-CENTRAL" from Amazon. If you've changed your mind or the item was out of stock at Amazon, please check your inbox for an email from Thankful for next steps. Thank you! 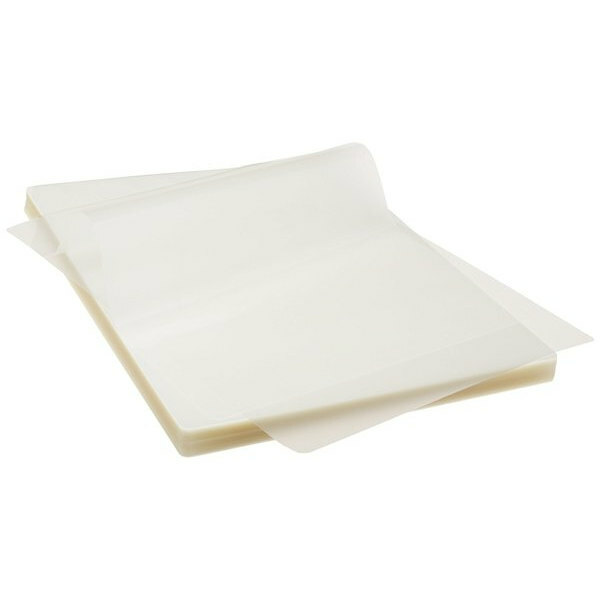 The registry has been updated with this gift from you: 1 of the "Thermal Laminating Pouches ALL" from Amazon. If you've changed your mind or the item was out of stock at Amazon, please check your inbox for an email from Thankful for next steps. Thank you! 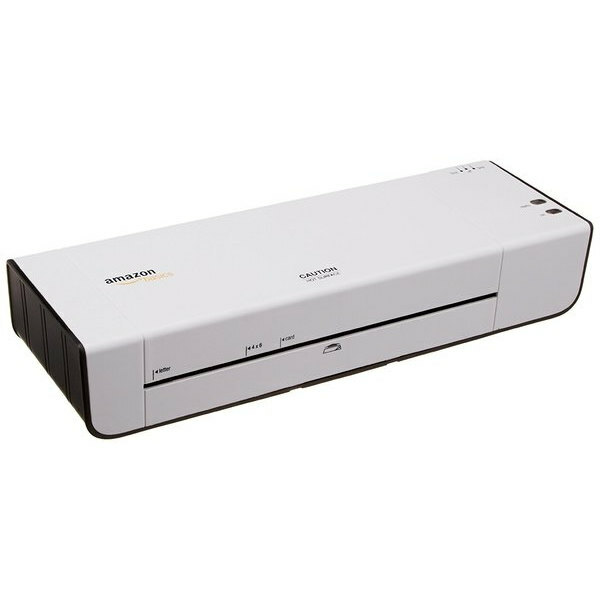 The registry has been updated with this gift from you: 1 of the "Thermal Laminator ALL" from Amazon. If you've changed your mind or the item was out of stock at Amazon, please check your inbox for an email from Thankful for next steps. Thank you! 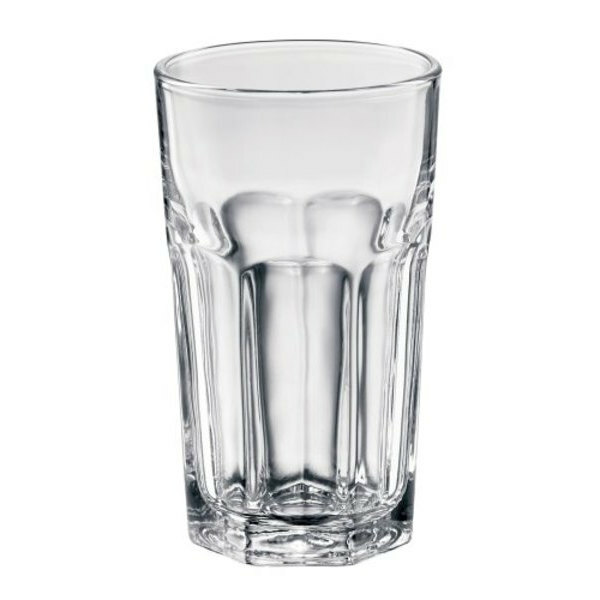 The registry has been updated with this gift from you: 1 of the "Glassware (large) - ALL" from Amazon. If you've changed your mind or the item was out of stock at Amazon, please check your inbox for an email from Thankful for next steps. Thank you! 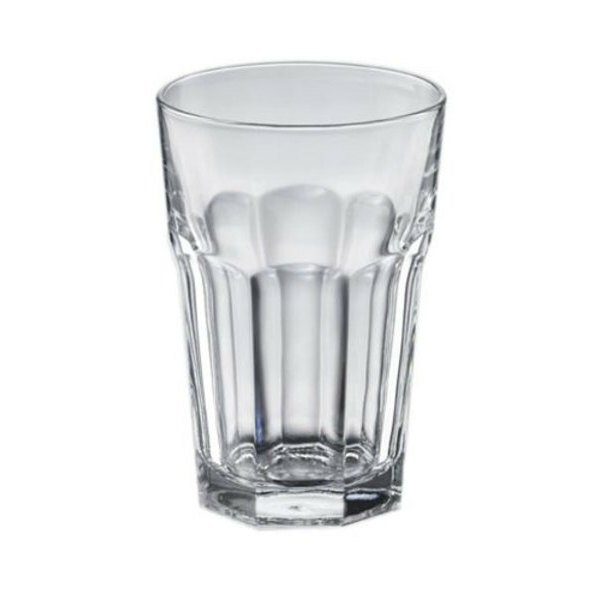 The registry has been updated with this gift from you: 1 of the "Glassware (small)- ALL" from Amazon. If you've changed your mind or the item was out of stock at Amazon, please check your inbox for an email from Thankful for next steps. Thank you! 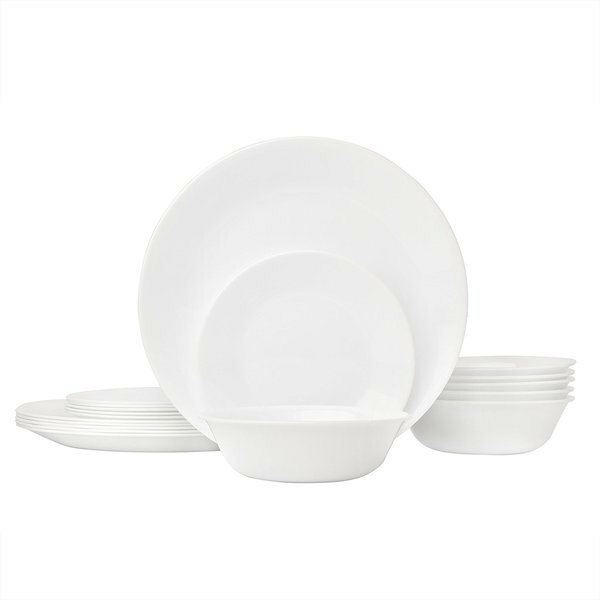 The registry has been updated with this gift from you: 1 of the "Dish Sets-ALL" from Amazon. If you've changed your mind or the item was out of stock at Amazon, please check your inbox for an email from Thankful for next steps. Any brand from any store would be appreciated! Thank you! 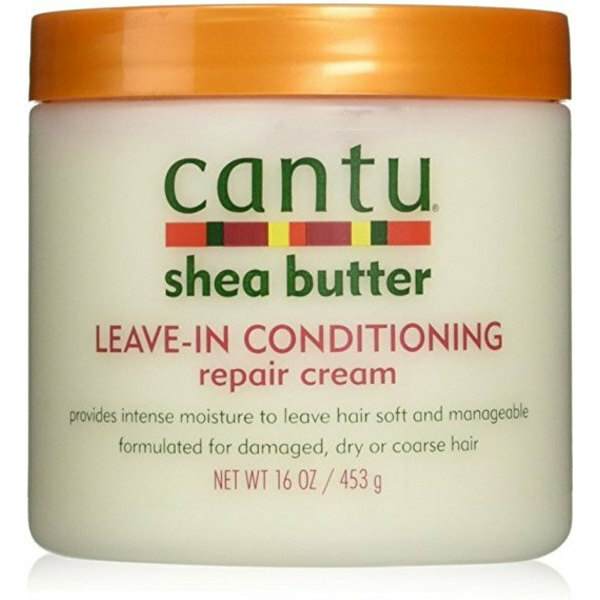 The registry has been updated with this gift from you: 1 of the "Hair Conditioner-EAST" from Amazon. If you've changed your mind or the item was out of stock at Amazon, please check your inbox for an email from Thankful for next steps. Thank you! 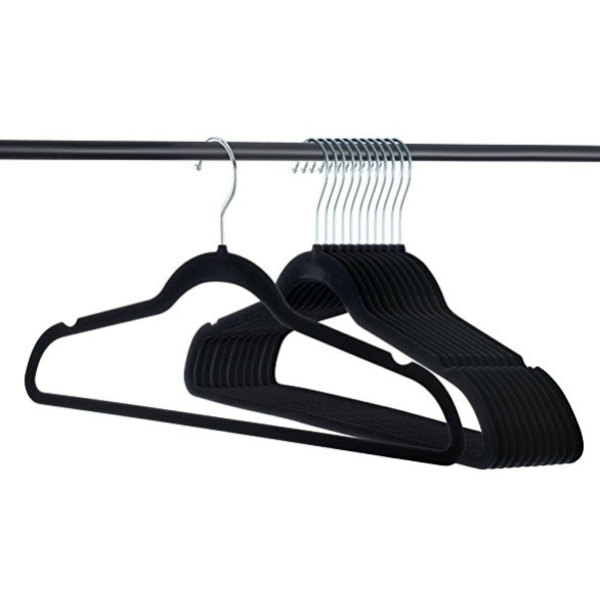 The registry has been updated with this gift from you: 1 of the "Velvet Hangers Heavy duty 50 Pack-EAST" from Amazon. If you've changed your mind or the item was out of stock at Amazon, please check your inbox for an email from Thankful for next steps. Thank you! 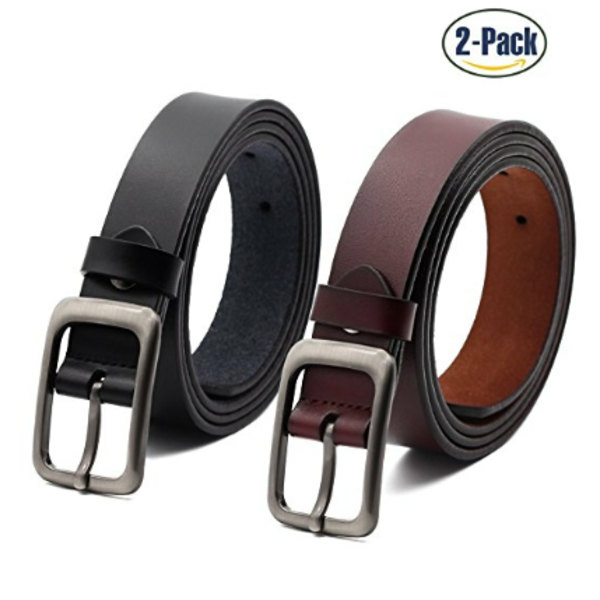 The registry has been updated with this gift from you: 1 of the "Set of 2 Women's Leather Belts-EAST" from Amazon. If you've changed your mind or the item was out of stock at Amazon, please check your inbox for an email from Thankful for next steps. Thank you! 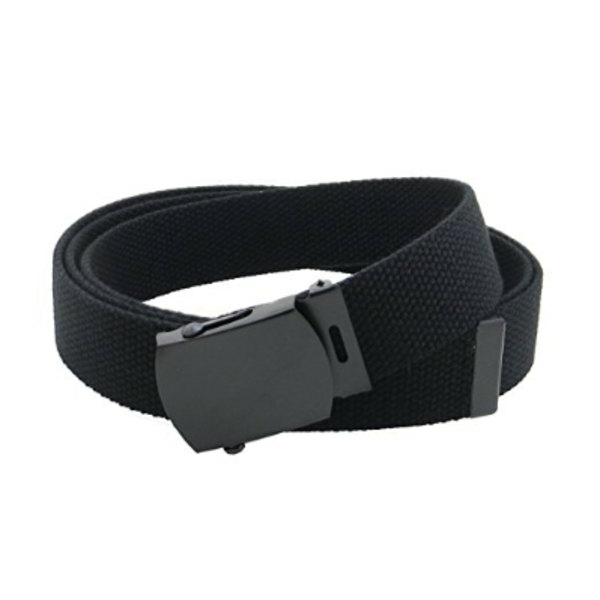 The registry has been updated with this gift from you: 1 of the "Canvas Belt~ Mens Military Style UTURN" from Amazon. If you've changed your mind or the item was out of stock at Amazon, please check your inbox for an email from Thankful for next steps. Thank you! 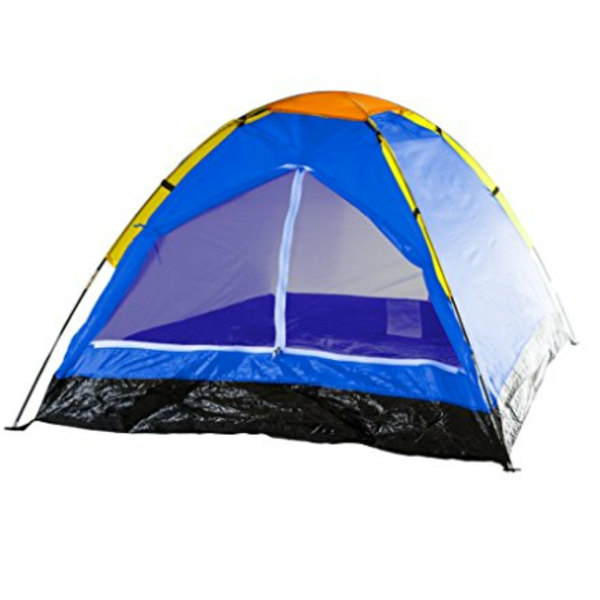 The registry has been updated with this gift from you: 1 of the "Two Person Tent-UTURN/OUTREACH" from Amazon. If you've changed your mind or the item was out of stock at Amazon, please check your inbox for an email from Thankful for next steps. Thank you! The registry has been updated with this gift from you: 1 of the " Men's Under Shirt~6 Pk UTURN" from Amazon. If you've changed your mind or the item was out of stock at Amazon, please check your inbox for an email from Thankful for next steps. Thank you! 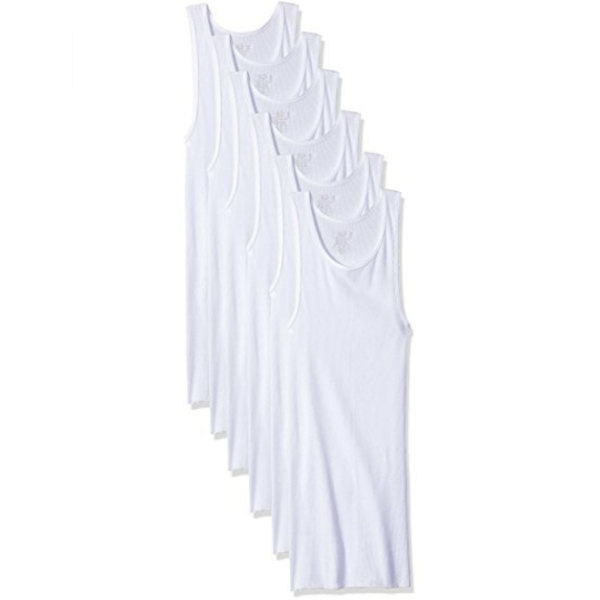 The registry has been updated with this gift from you: 1 of the "Basic Tank Top ~ 3 Pack UTURN" from Amazon. If you've changed your mind or the item was out of stock at Amazon, please check your inbox for an email from Thankful for next steps. Thank you! 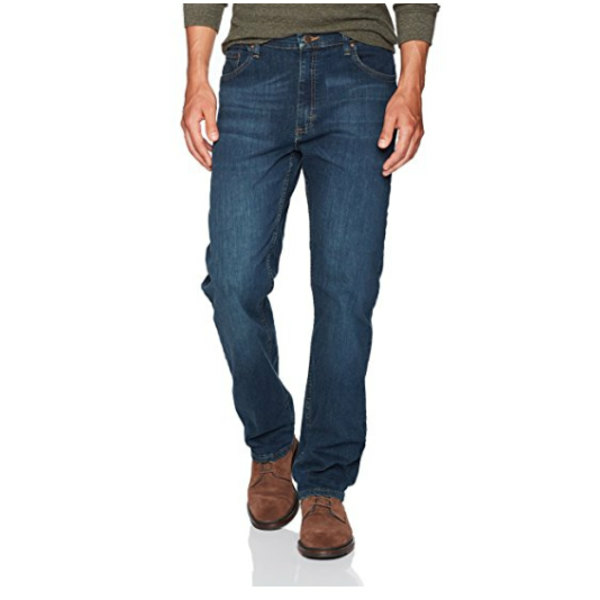 The registry has been updated with this gift from you: 1 of the "Mens Classic Regular Fit Jean UTURN" from Amazon. If you've changed your mind or the item was out of stock at Amazon, please check your inbox for an email from Thankful for next steps. Thank you! The registry has been updated with this gift from you: 1 of the "Women's Ankle Legging UTURN" from Amazon. If you've changed your mind or the item was out of stock at Amazon, please check your inbox for an email from Thankful for next steps. Thank you! The registry has been updated with this gift from you: 1 of the "Lightweight Durable Backpack UTURN" from Amazon. If you've changed your mind or the item was out of stock at Amazon, please check your inbox for an email from Thankful for next steps. Thank you! 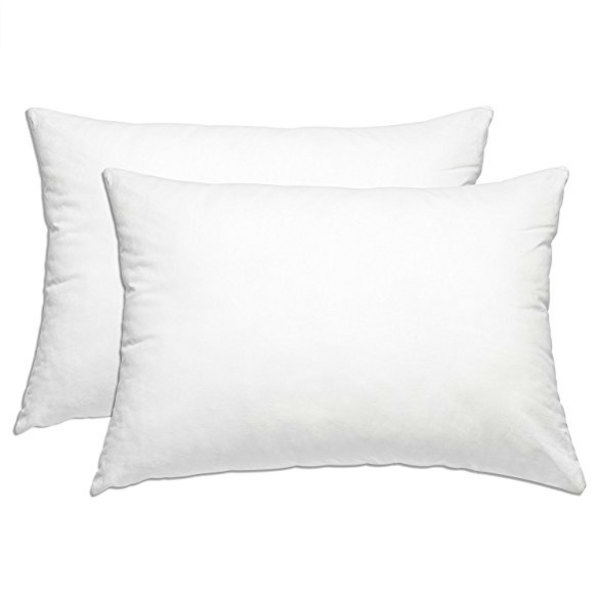 The registry has been updated with this gift from you: 1 of the "Pillow - Down Alternative 2 Pack COMPLEX" from Amazon. If you've changed your mind or the item was out of stock at Amazon, please check your inbox for an email from Thankful for next steps. Thank you! 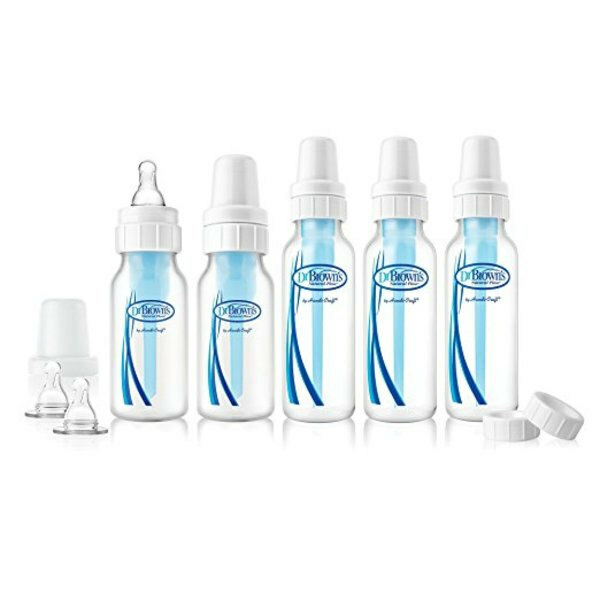 The registry has been updated with this gift from you: 1 of the "Dr. Brown's 6M-1YR Bottles-NORTH" from Amazon. If you've changed your mind or the item was out of stock at Amazon, please check your inbox for an email from Thankful for next steps. Thank you! 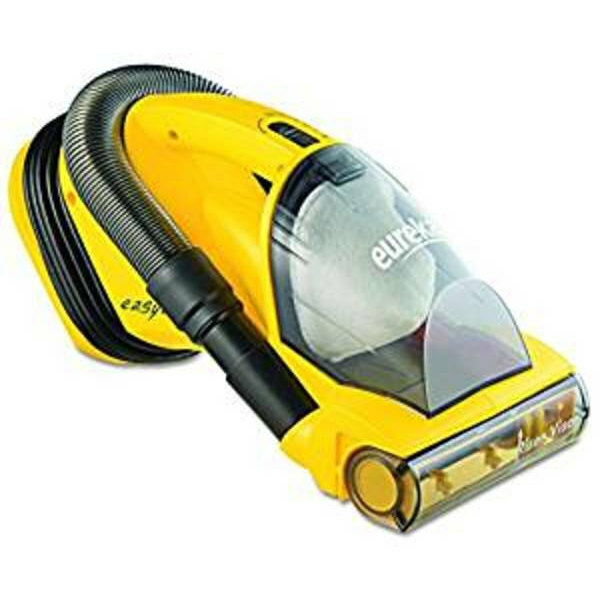 The registry has been updated with this gift from you: 1 of the "Eureka Handheld Vacuum-ALL LOCATIONS" from Amazon. If you've changed your mind or the item was out of stock at Amazon, please check your inbox for an email from Thankful for next steps. Thank you! 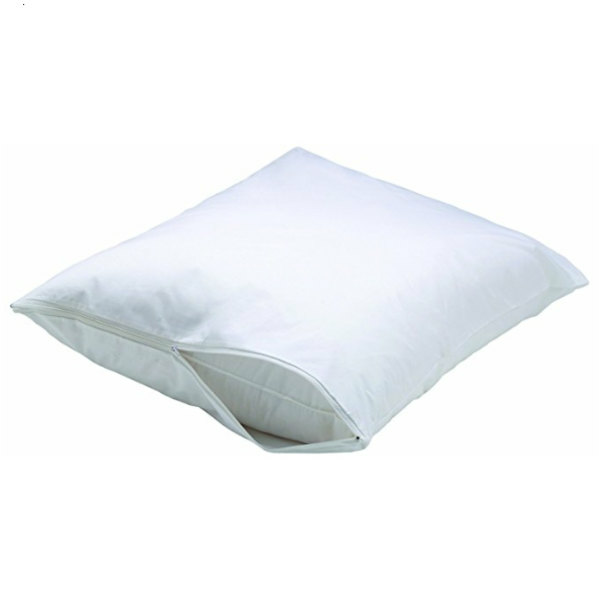 The registry has been updated with this gift from you: 1 of the "*STANDARD SIZE* Pillow Protector ALL " from Amazon. If you've changed your mind or the item was out of stock at Amazon, please check your inbox for an email from Thankful for next steps. Thank you! 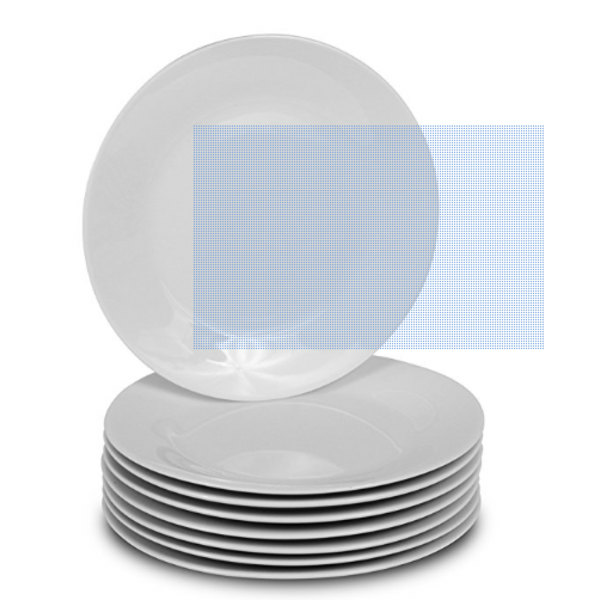 The registry has been updated with this gift from you: 1 of the "8 White Round Salad Plates CENTRAL" from Amazon. If you've changed your mind or the item was out of stock at Amazon, please check your inbox for an email from Thankful for next steps. A 14” or bigger screen is what we’re looking for, with an Intel core i5 (of any speed) processer, at least 4GB of RAM, and at least 120GB hard drive would do us well. Thanks for taking a closer look. 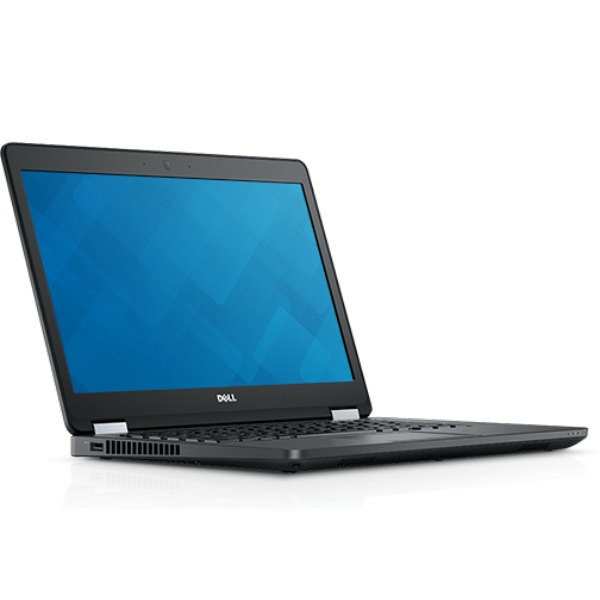 This gift can be purchased online from www.Dell.com. What would you like to do? One more thing: ship your gift from www.Dell.com to the following address. A copy will also be sent to you by email. Thank you! 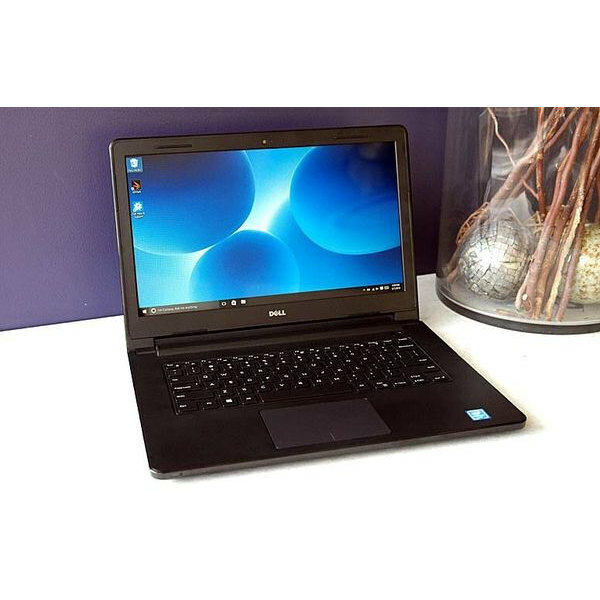 The registry has been updated with this gift from you: 1 of the "Dell Latitude E5470 IT" from www.Dell.com. If you've changed your mind or the item was out of stock at www.Dell.com, please check your inbox for an email from Thankful for next steps. Thank you! 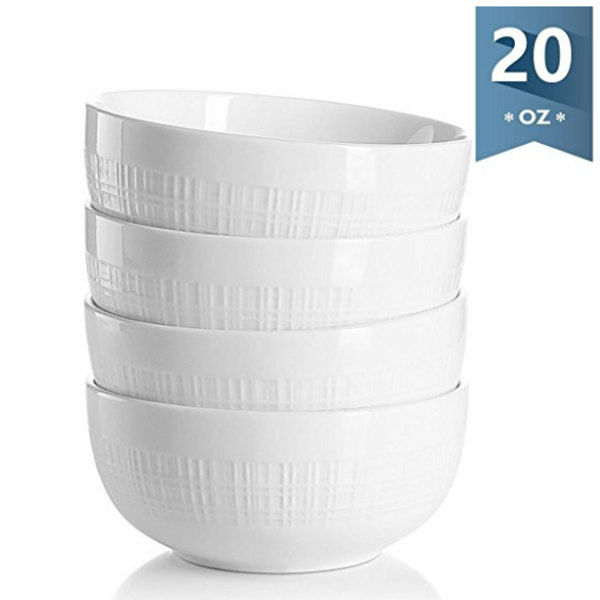 The registry has been updated with this gift from you: 1 of the "Bowls 20 Ounce for Cereal /Soup CENTRAL" from Amazon. If you've changed your mind or the item was out of stock at Amazon, please check your inbox for an email from Thankful for next steps. For youth to be able to do their homework and online classes. The current computers we have for the youth are very old and falling apart. Thank you! The registry has been updated with this gift from you: 1 of the "Dell Inspiron 14 3000 IT" from www.Dell.com. If you've changed your mind or the item was out of stock at www.Dell.com, please check your inbox for an email from Thankful for next steps. Any color would be appreciated! Thank you! 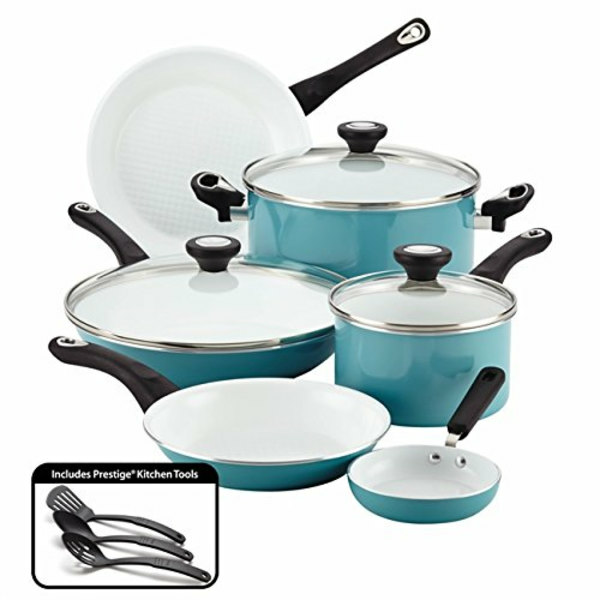 The registry has been updated with this gift from you: 1 of the "Farberware Nonstick Cooware Set CENTRAL" from Amazon. If you've changed your mind or the item was out of stock at Amazon, please check your inbox for an email from Thankful for next steps. Thank you! 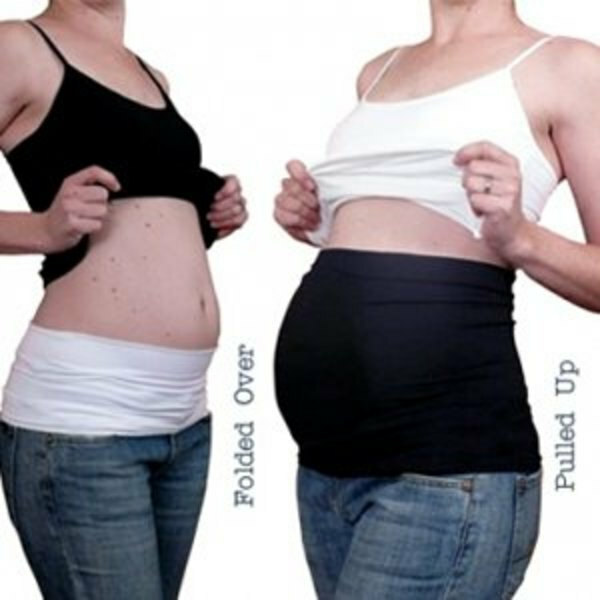 The registry has been updated with this gift from you: 1 of the "Maternity Belly Bands NORTH" from Amazon. If you've changed your mind or the item was out of stock at Amazon, please check your inbox for an email from Thankful for next steps. Thank you! 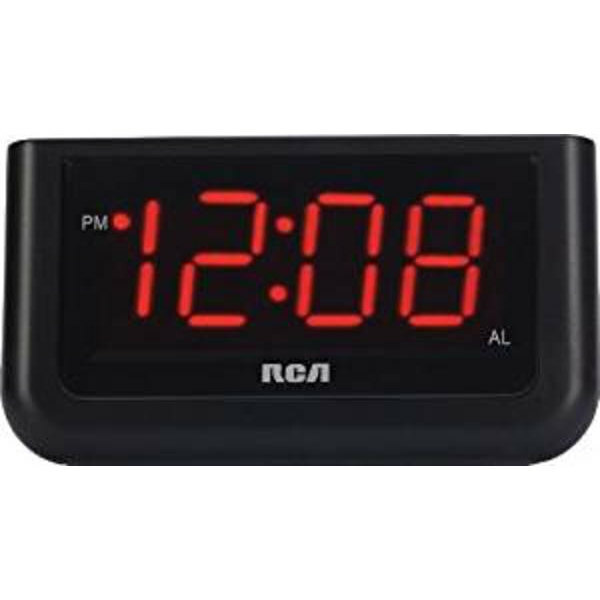 The registry has been updated with this gift from you: 1 of the "RCA Digital Alarm Clock HOUSING" from Amazon. If you've changed your mind or the item was out of stock at Amazon, please check your inbox for an email from Thankful for next steps. Thank you! 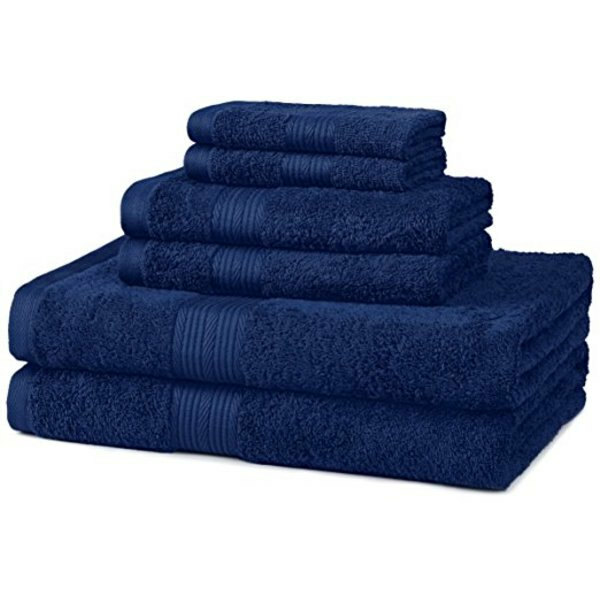 The registry has been updated with this gift from you: 1 of the "Bath towel sets - Any color HOUSING" from amazon.com. If you've changed your mind or the item was out of stock at amazon.com, please check your inbox for an email from Thankful for next steps. Thank you! 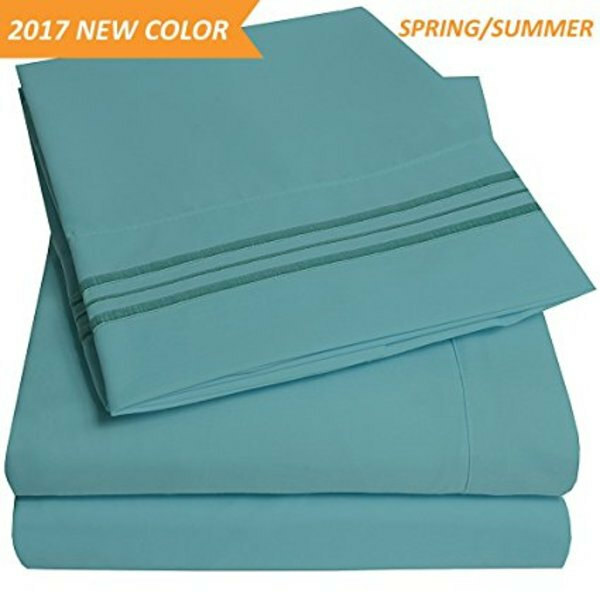 The registry has been updated with this gift from you: 1 of the "Twin XL sheets - multiple colors HOUSING" from amazon.com. If you've changed your mind or the item was out of stock at amazon.com, please check your inbox for an email from Thankful for next steps. Thank you! 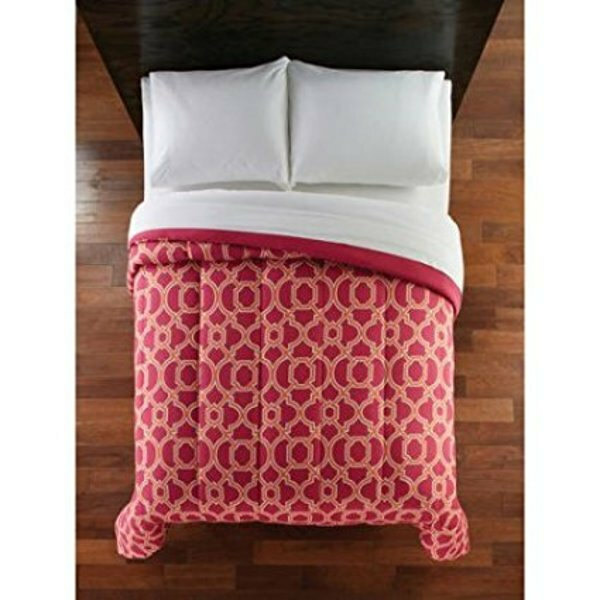 The registry has been updated with this gift from you: 1 of the "Twin XL comforters HOUSING" from amazon.com. If you've changed your mind or the item was out of stock at amazon.com, please check your inbox for an email from Thankful for next steps. Thank you! 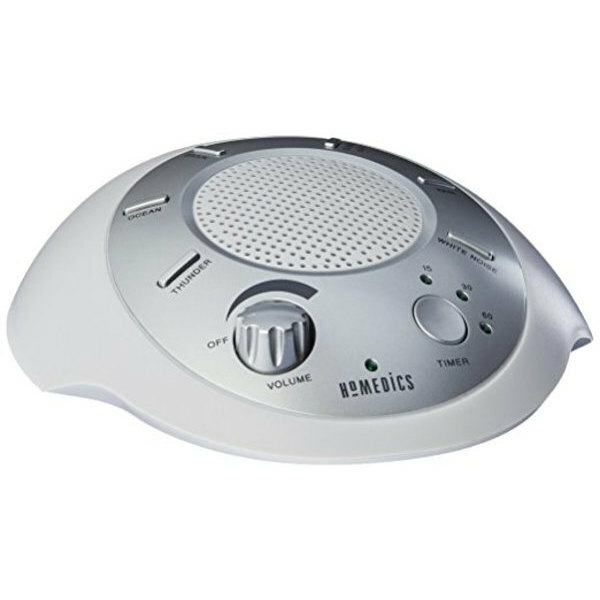 The registry has been updated with this gift from you: 1 of the "White Noise Machine HOUSING" from amazon.com. If you've changed your mind or the item was out of stock at amazon.com, please check your inbox for an email from Thankful for next steps. Thanks for taking a closer look. This gift can be purchased online from images.search.yahoo.com. What would you like to do? One more thing: ship your gift from images.search.yahoo.com to the following address. A copy will also be sent to you by email. Thank you! The registry has been updated with this gift from you: 1 of the "Gift Card to a local Nail Salon ALL" from images.search.yahoo.com. If you've changed your mind or the item was out of stock at images.search.yahoo.com, please check your inbox for an email from Thankful for next steps. Thank you! 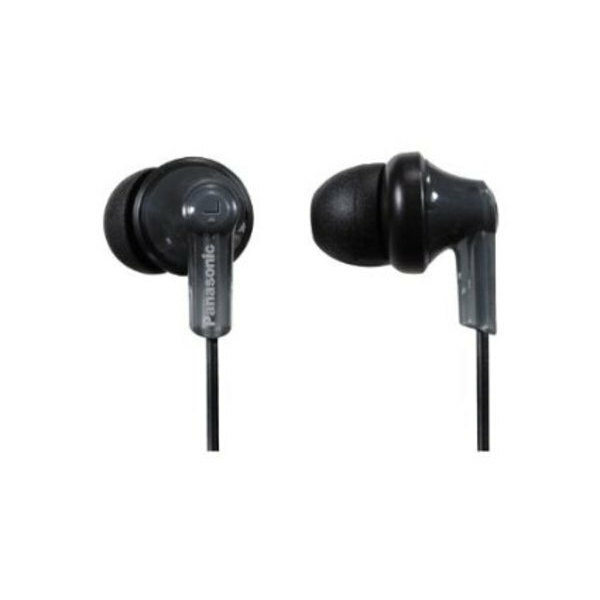 The registry has been updated with this gift from you: 1 of the "Ear Buds OUTREACH" from amazon.com. If you've changed your mind or the item was out of stock at amazon.com, please check your inbox for an email from Thankful for next steps. Thank you! 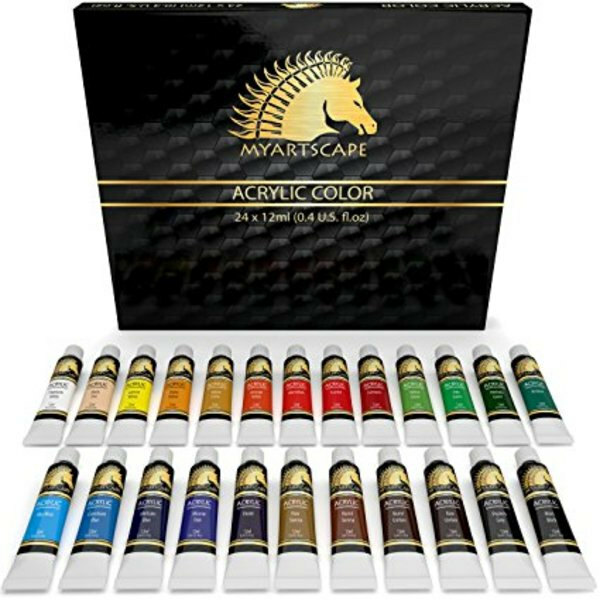 The registry has been updated with this gift from you: 1 of the "Paint sets HOUSING" from amazon.com. If you've changed your mind or the item was out of stock at amazon.com, please check your inbox for an email from Thankful for next steps. Thank you! 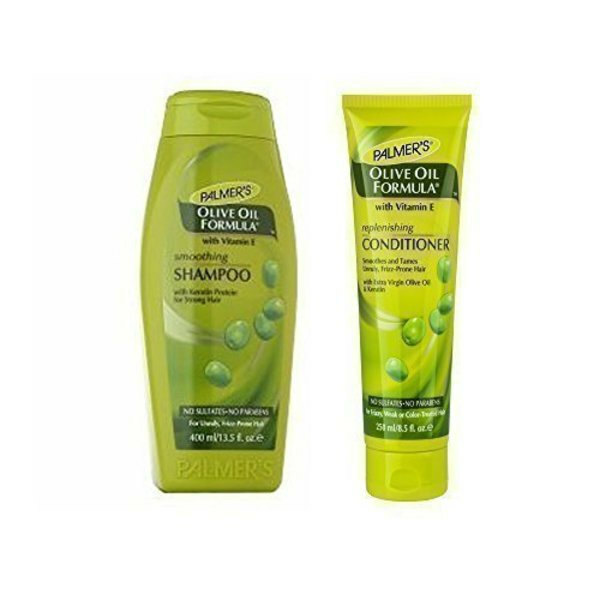 The registry has been updated with this gift from you: 1 of the " Shampoo and Conditioner HOUSING" from amazon.com. If you've changed your mind or the item was out of stock at amazon.com, please check your inbox for an email from Thankful for next steps. All sizes needed & any brand is appreciated! Thank you! The registry has been updated with this gift from you: 1 of the "Mens Boxers ALL" from amazon.com. If you've changed your mind or the item was out of stock at amazon.com, please check your inbox for an email from Thankful for next steps. Thank you! 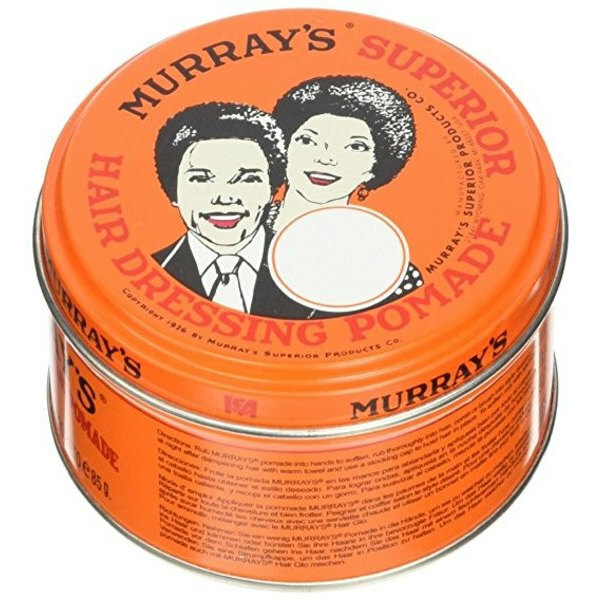 The registry has been updated with this gift from you: 1 of the "Murray's Pomade ALL" from amazon.com. If you've changed your mind or the item was out of stock at amazon.com, please check your inbox for an email from Thankful for next steps. Thank you! 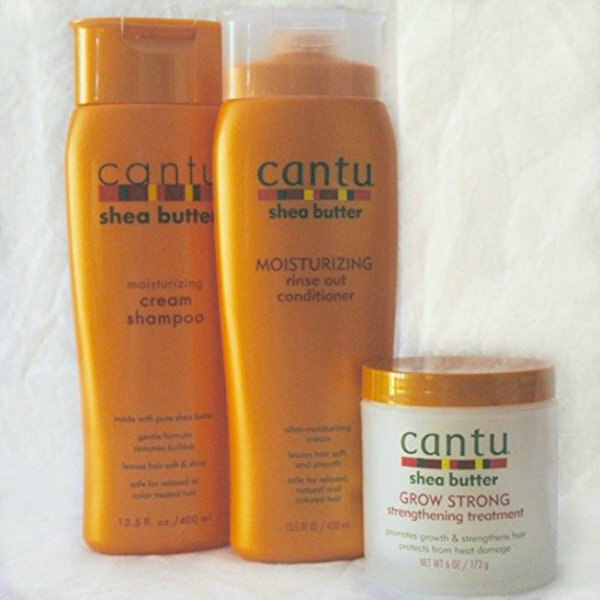 The registry has been updated with this gift from you: 1 of the "Cantu Shea Butter ALL" from amazon.com. If you've changed your mind or the item was out of stock at amazon.com, please check your inbox for an email from Thankful for next steps. Thank you! 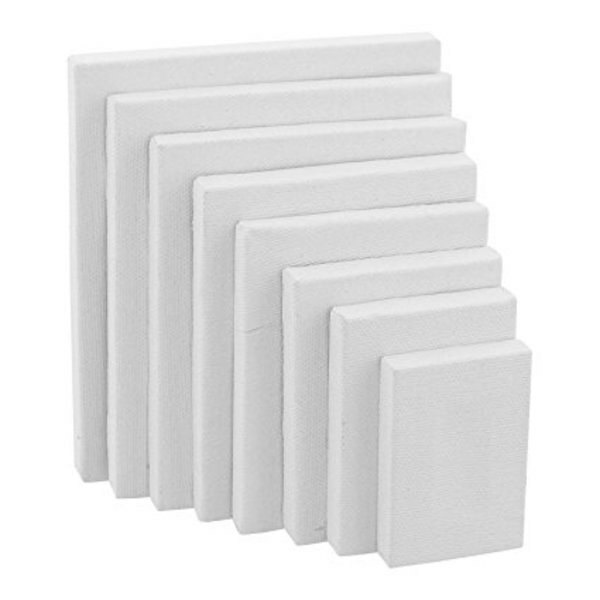 The registry has been updated with this gift from you: 1 of the "Art Canvases CENTRAL & COMPLEX" from amazon.com. If you've changed your mind or the item was out of stock at amazon.com, please check your inbox for an email from Thankful for next steps. Thank you! 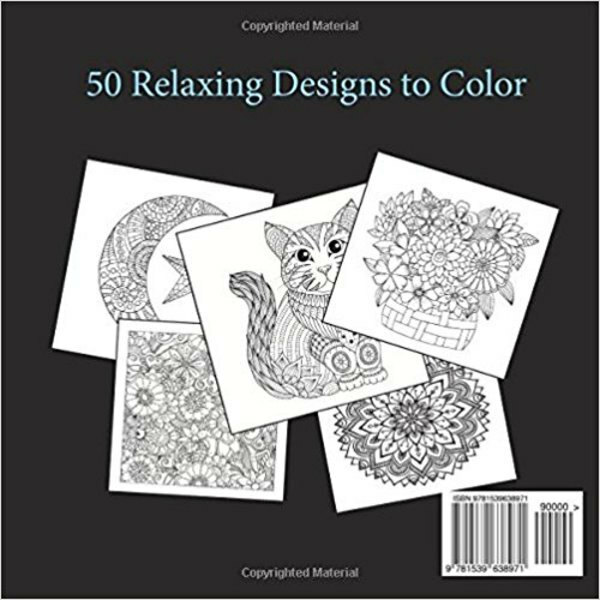 The registry has been updated with this gift from you: 1 of the "Coloring Books for Adults ALL" from amazon.com. If you've changed your mind or the item was out of stock at amazon.com, please check your inbox for an email from Thankful for next steps. Thank you! 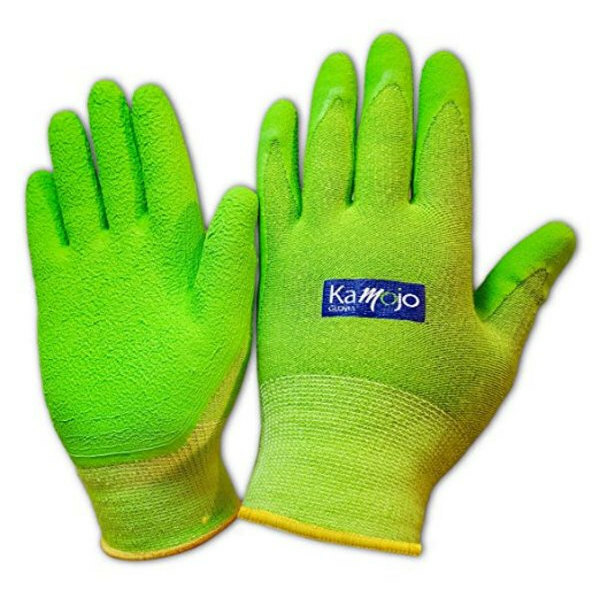 The registry has been updated with this gift from you: 1 of the "Bamboo Gardening Gloves NORTH & EAST" from amazon.com. If you've changed your mind or the item was out of stock at amazon.com, please check your inbox for an email from Thankful for next steps. Thank you! 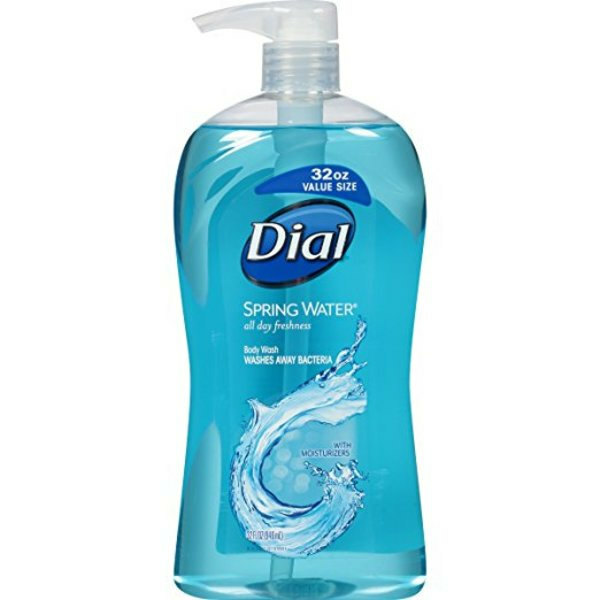 The registry has been updated with this gift from you: 1 of the "Body wash for men and women - HOUSING" from amazon.com. If you've changed your mind or the item was out of stock at amazon.com, please check your inbox for an email from Thankful for next steps. Thank you! 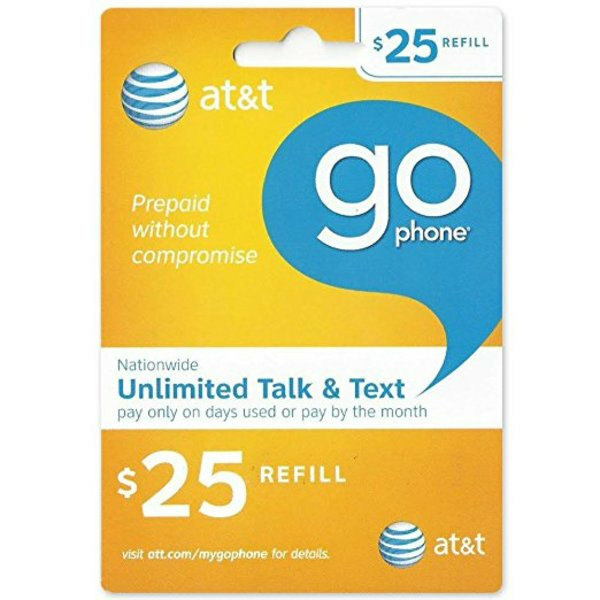 The registry has been updated with this gift from you: 1 of the "Cell phone minute cards OUTREACH" from amazon.com. If you've changed your mind or the item was out of stock at amazon.com, please check your inbox for an email from Thankful for next steps. We are always needing shoes for the boys we serve. We need sizes 9 through 15. 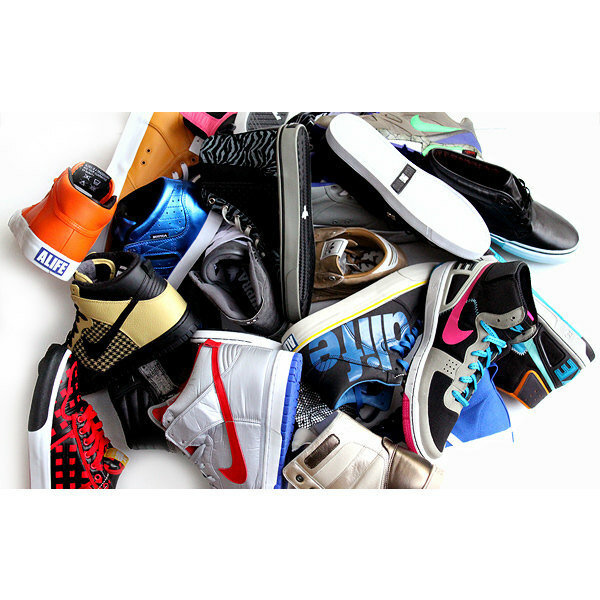 Popular brands for our kids are Vans, Converse, or similar tennis shoes, as well as dress shoes for interviews! Thanks for taking a closer look. This gift can be purchased online from Smile.amazon.com. What would you like to do? One more thing: ship your gift from Smile.amazon.com to the following address. A copy will also be sent to you by email. Thank you! The registry has been updated with this gift from you: 1 of the "Men's Shoes size 9-15 ALL" from Smile.amazon.com. If you've changed your mind or the item was out of stock at Smile.amazon.com, please check your inbox for an email from Thankful for next steps. We are always needing shoes for the girls we serve. Comfortable feet are happy feet! We need sizes 7 through 10.5 in tennis shoes, flats, and some boots. Thank you! The registry has been updated with this gift from you: 1 of the "Women's Shoes Size 7-10.5 ALL" from Smile.amazon.com. If you've changed your mind or the item was out of stock at Smile.amazon.com, please check your inbox for an email from Thankful for next steps. Thank you! The registry has been updated with this gift from you: 1 of the "Dresses for teen moms NORTH & OUTREACH" from smile.amazon.com. If you've changed your mind or the item was out of stock at smile.amazon.com, please check your inbox for an email from Thankful for next steps. Our youth would love to have yoga pants to wear. They prefer black, and in sizes from small to extra large. Thank you! The registry has been updated with this gift from you: 1 of the "Size 8-12 or S-XL Black Yoga Pants ALL" from Smile.amazon.com. If you've changed your mind or the item was out of stock at Smile.amazon.com, please check your inbox for an email from Thankful for next steps. Thank you! 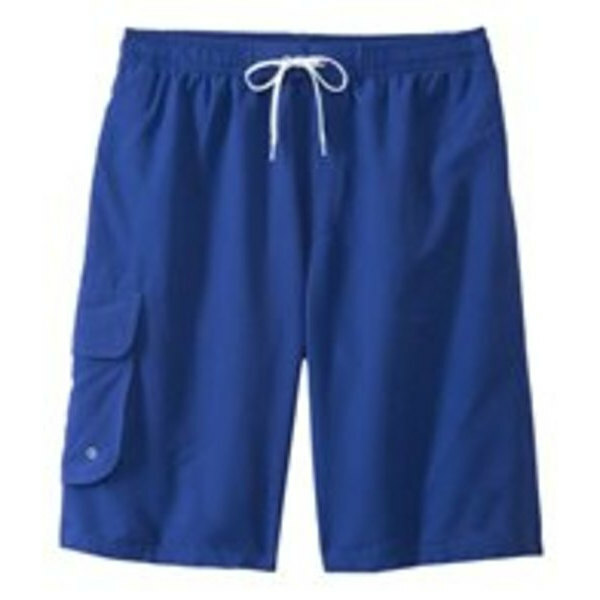 The registry has been updated with this gift from you: 1 of the "Swim Trunks Size Small-XL ALL" from Smile.amazon.com. If you've changed your mind or the item was out of stock at Smile.amazon.com, please check your inbox for an email from Thankful for next steps. Many of our staff and case managers meet with their clients at Mcdonalds to buy the youth a treat provide them with a chance to meet in more fun environment. These gift cards allow that to happen. Thanks for taking a closer look. This gift can be purchased online from McDonald's. What would you like to do? One more thing: ship your gift from McDonald's to the following address. A copy will also be sent to you by email. Thank you! 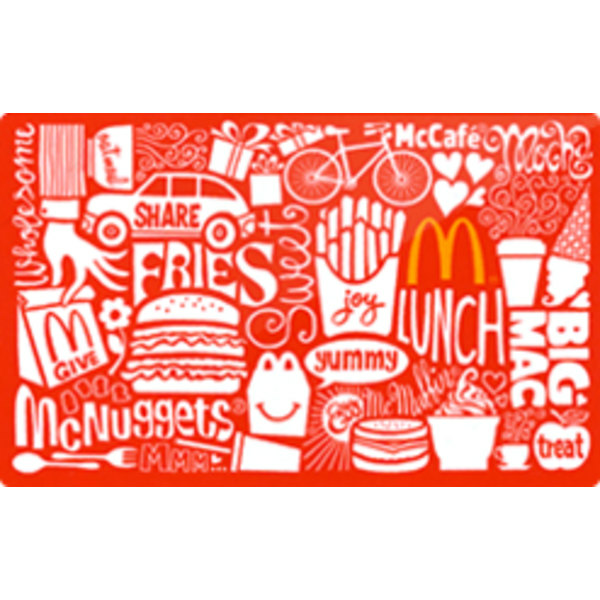 The registry has been updated with this gift from you: 1 of the "Mc Donald's Gift Card" from McDonald's. If you've changed your mind or the item was out of stock at McDonald's, please check your inbox for an email from Thankful for next steps. Many of our programs have resident stores where they can buy items with points that they earn by achieving their goals. 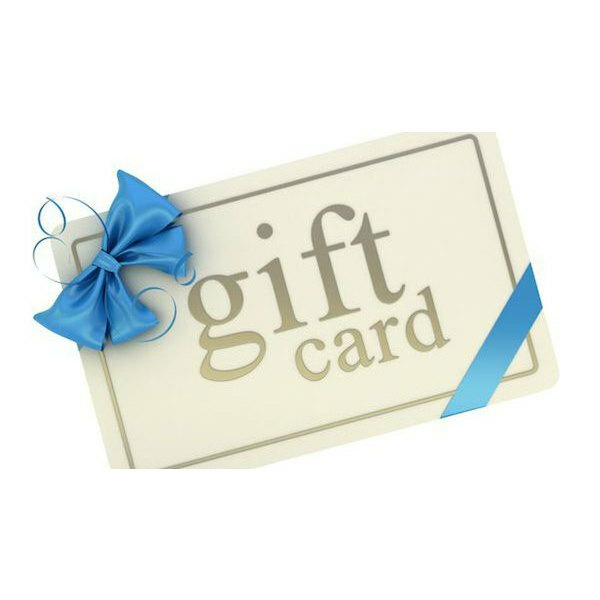 Many of the youth request these gift cards as items to purchase in the store. Thanks for taking a closer look. This gift can be purchased online from Apple. What would you like to do? One more thing: ship your gift from Apple to the following address. A copy will also be sent to you by email. Thank you! 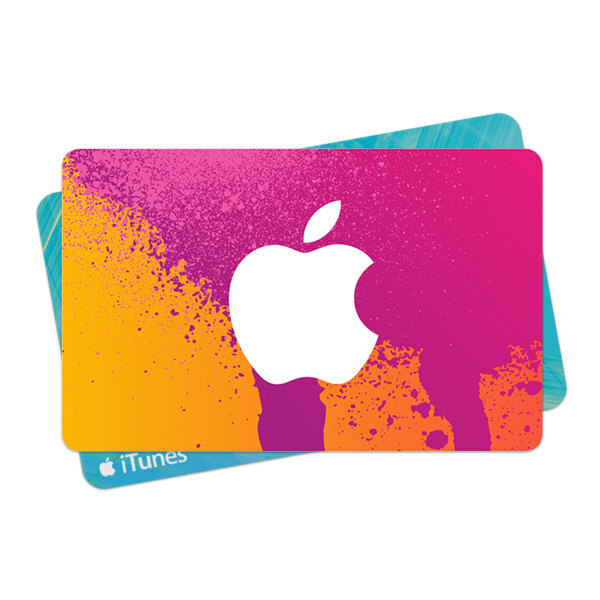 The registry has been updated with this gift from you: 1 of the "iTunes Gift Card" from Apple. If you've changed your mind or the item was out of stock at Apple, please check your inbox for an email from Thankful for next steps. Many of our staff and case managers meet with their clients at starbucks to buy the youth a treat provide them with a chance to meet in more fun environment. These gift cards allow that to happen. Thanks for taking a closer look. This gift can be purchased online from Starbucks. What would you like to do? One more thing: ship your gift from Starbucks to the following address. A copy will also be sent to you by email. Thank you! 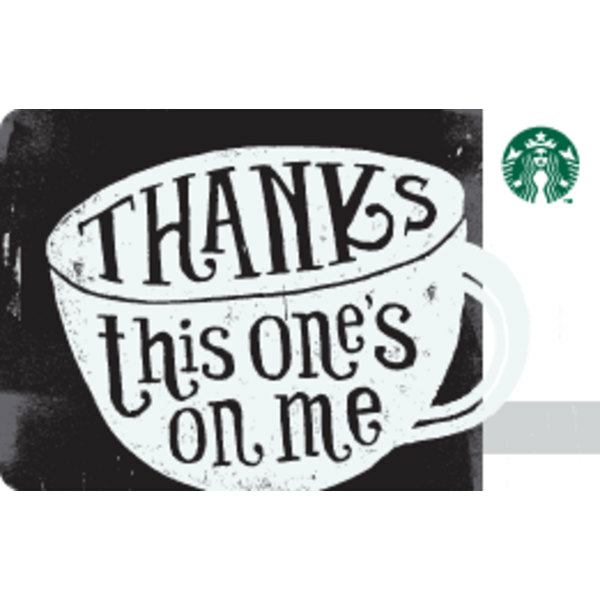 The registry has been updated with this gift from you: 1 of the "Starbucks gift cards" from Starbucks. If you've changed your mind or the item was out of stock at Starbucks, please check your inbox for an email from Thankful for next steps. We are always eager to be able to take our kids out to movies. We don't get to often, but when we do, it gives them a chance to have a fun night out! Thank you! 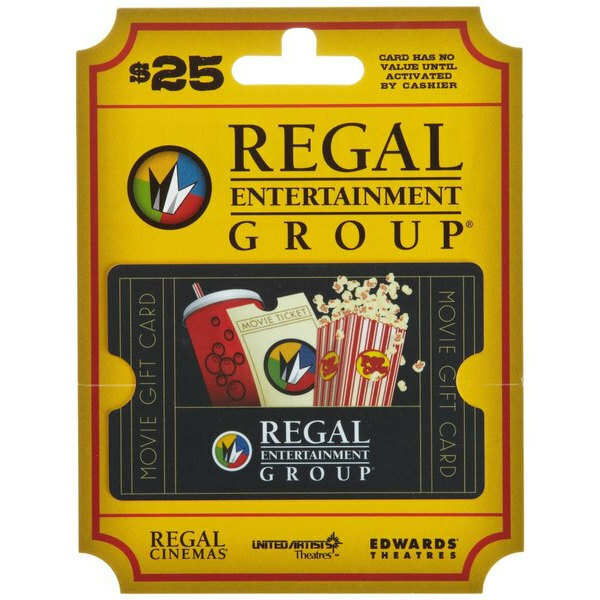 The registry has been updated with this gift from you: 1 of the "Regal Gift Cards" from Smile.amazon.com. If you've changed your mind or the item was out of stock at Smile.amazon.com, please check your inbox for an email from Thankful for next steps. Thank you! 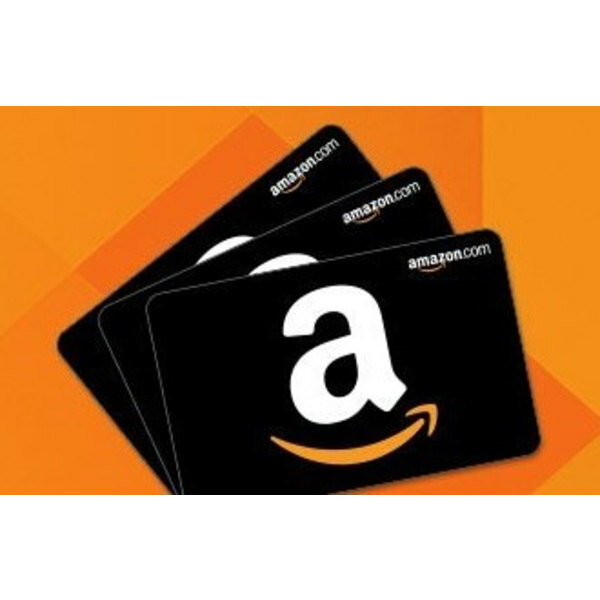 The registry has been updated with this gift from you: 1 of the "Amazon Gift Card" from Smile.amazon.com. If you've changed your mind or the item was out of stock at Smile.amazon.com, please check your inbox for an email from Thankful for next steps. As our programs grow, we have more staff serving the kids, which means we need more desk space! Our shelter needs a new desk for their new case manager. Simple, no need for drawers. Thank you! 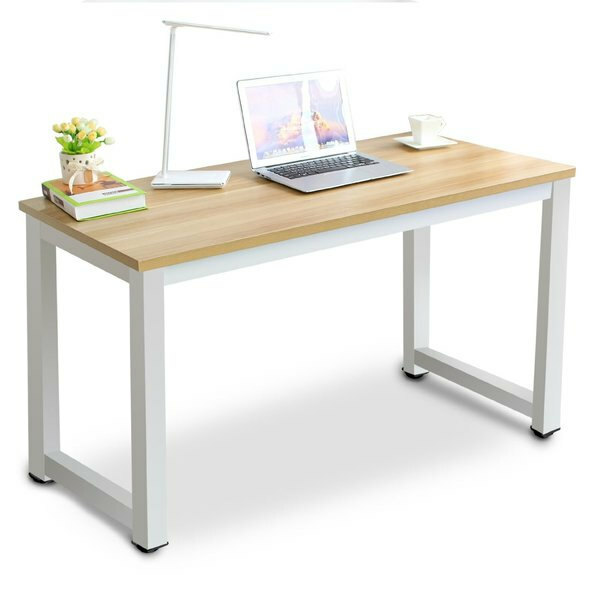 The registry has been updated with this gift from you: 1 of the "Simple Desk CENTRAL" from Smile.amazon.com. If you've changed your mind or the item was out of stock at Smile.amazon.com, please check your inbox for an email from Thankful for next steps. 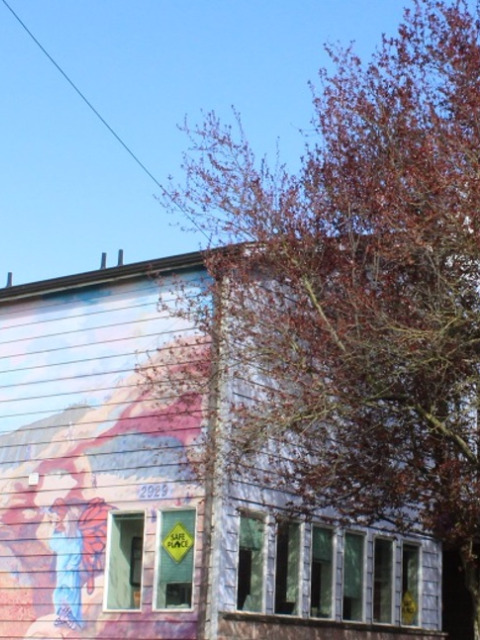 We are in need of a reliable vacuum for our long-term housing unit in Everett. WE have lots of carpeted offices, as well as the teens' rooms! 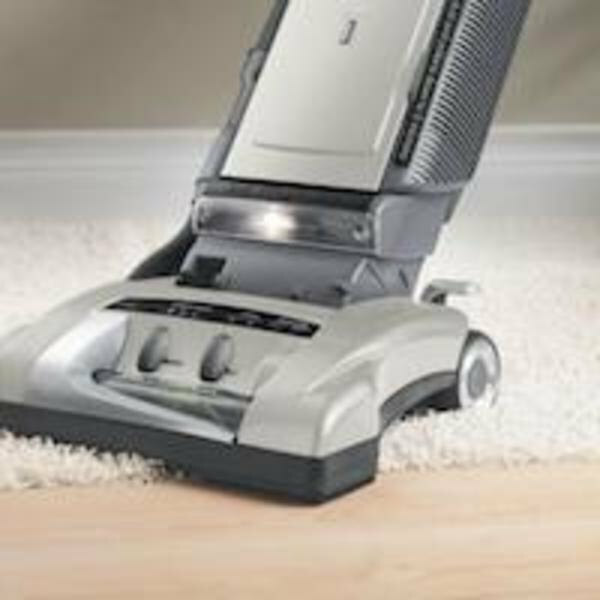 1 or 2 lightweight but strong vacuums (similar to the model shown, but it can be any model, even used if good condition) would help us keep our offices clean, and also assist with guiding our teens into adopting life skills, independence, and clean living habits! Thank you! The registry has been updated with this gift from you: 1 of the "Hoover Windtunnel Vacuum EAST" from smile.amazon.com. If you've changed your mind or the item was out of stock at smile.amazon.com, please check your inbox for an email from Thankful for next steps. These fans will help our housing programs stay cool in the summer, with both intake and exhaust settings to quickly pull the air through the houses. Thank you! 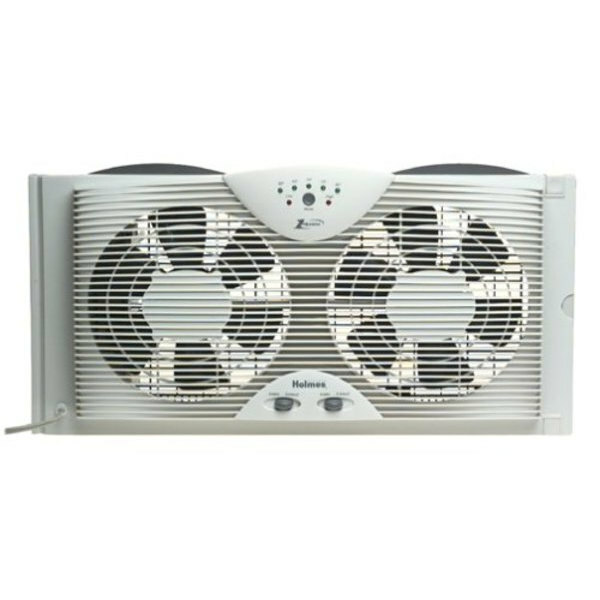 The registry has been updated with this gift from you: 1 of the "Window Fan COMPLEX" from Smile.amazon.com. If you've changed your mind or the item was out of stock at Smile.amazon.com, please check your inbox for an email from Thankful for next steps. Our moms staying in our Arlington teen mom home currently need size 4 diapers for their little munchkins. As babies grow, and moms come and go from our home, we'll update this with the most up-to-date sizes needed! Although we'll do our best, please don't hesitate to call us first to confirm the sizes needed. Thank you! The registry has been updated with this gift from you: 1 of the "Diapers-Any Brand size 4, 5, & 6 NORTH" from smile.amazon.com. If you've changed your mind or the item was out of stock at smile.amazon.com, please check your inbox for an email from Thankful for next steps. Our moms in our Arlington home for teen moms and their babies would love to have some baby carriers! Currently, we have 5 moms staying with us, and it would be very much appreciated if they all had the ability to carry their babies at the same time - especially on group outings or taking babies to daycare on the bus before heading to school or work! Unfortunately, we cannot accept any used baby items, as doing so presents both safety issues and licensing concerns. Thank you! The registry has been updated with this gift from you: 1 of the "Baby Bjorn Carrier NORTH" from smile.amazon.com. If you've changed your mind or the item was out of stock at smile.amazon.com, please check your inbox for an email from Thankful for next steps. Our youth often take pictures with their phones and camera's and would love to be able to print them to decorate their rooms, share the memories, and more. Thank you! 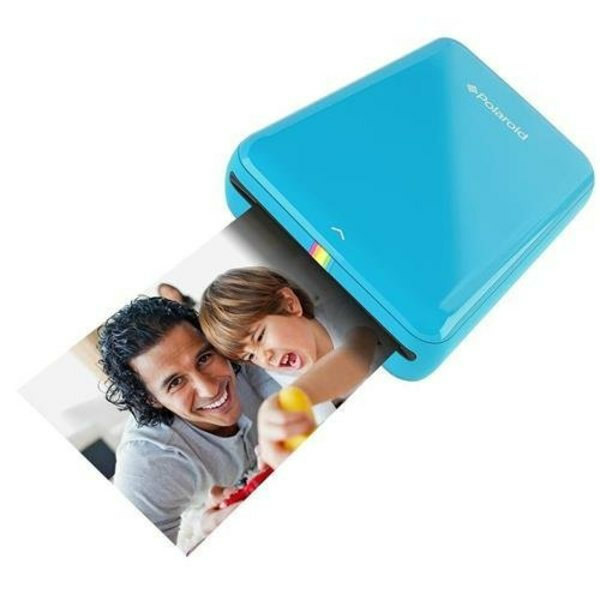 The registry has been updated with this gift from you: 1 of the "Polaroid Printer COMPLEX" from Smile.amazon.com. If you've changed your mind or the item was out of stock at Smile.amazon.com, please check your inbox for an email from Thankful for next steps. 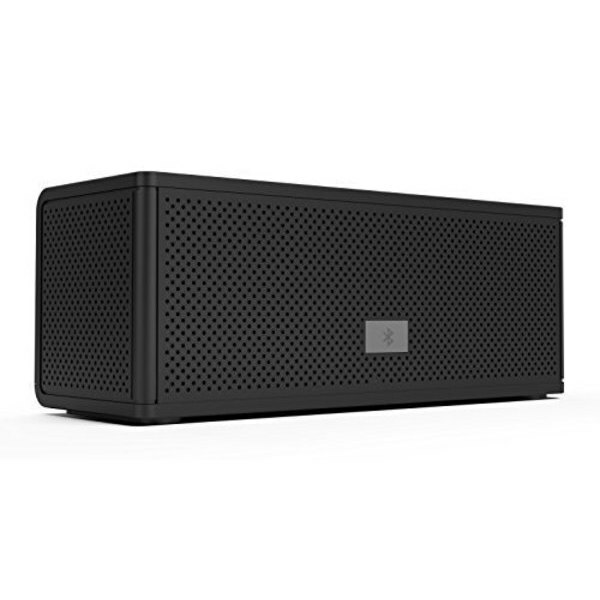 One of the hottest items in our resident stores are bluetooth speakers the kids can use with their mobile devices. Thank you! The registry has been updated with this gift from you: 1 of the "Bluetooth Speakers OUTREACH" from Smile.amazon.com. If you've changed your mind or the item was out of stock at Smile.amazon.com, please check your inbox for an email from Thankful for next steps. Our housing programs are always wanting the ability to whip up both healthy smoothies, as well as milkshake treats. Only a couple of our programs have working blenders currently. Thank you! 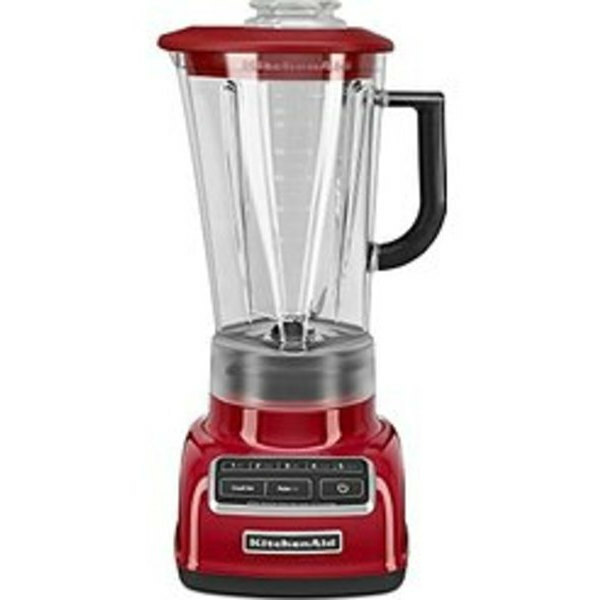 The registry has been updated with this gift from you: 1 of the "Blender CENTRAL & U-TURN" from Smile.amazon.com. If you've changed your mind or the item was out of stock at Smile.amazon.com, please check your inbox for an email from Thankful for next steps. You financial contribution makes a lasting impact on Snohomish County Teens! Thank you! The registry has been updated with this gift from you: 1 of the "Cash Donation ALL". If you've changed your mind or had trouble sending payment, please check your inbox for an email from Thankful for next steps. Our Arlington & Monroe sites do not have outdoor grills and we would very much like to be able to grill outdoors with the kids. Thanks for taking a closer look. This gift can be purchased online from Lowes. What would you like to do? One more thing: ship your gift from Lowes to the following address. A copy will also be sent to you by email. Thank you! 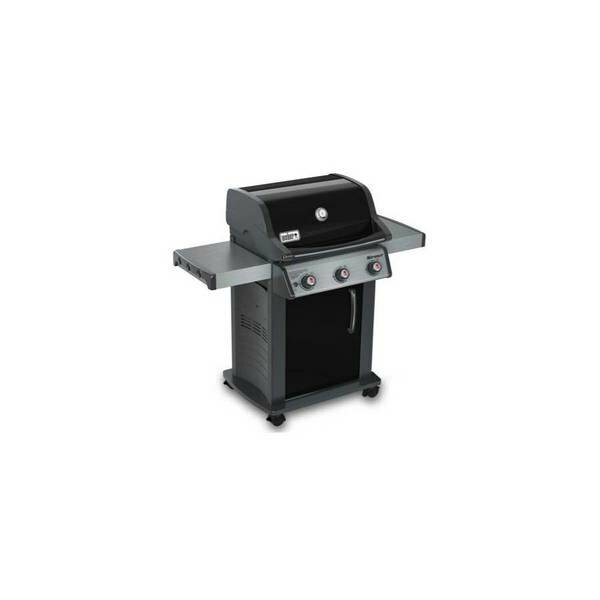 The registry has been updated with this gift from you: 1 of the "Propane Gas Grill NORTH & EAST" from Lowes. If you've changed your mind or the item was out of stock at Lowes, please check your inbox for an email from Thankful for next steps. Thanks for taking a closer look. This gift is a donation to ALL. What would you like to do? Please note! If you decide to make a donation later, you’ll need to come back to this screen and select “MAKE A DONATION”. It’s the only way to update Cocoon’s registry with your gift donation to ALL. Thank you! 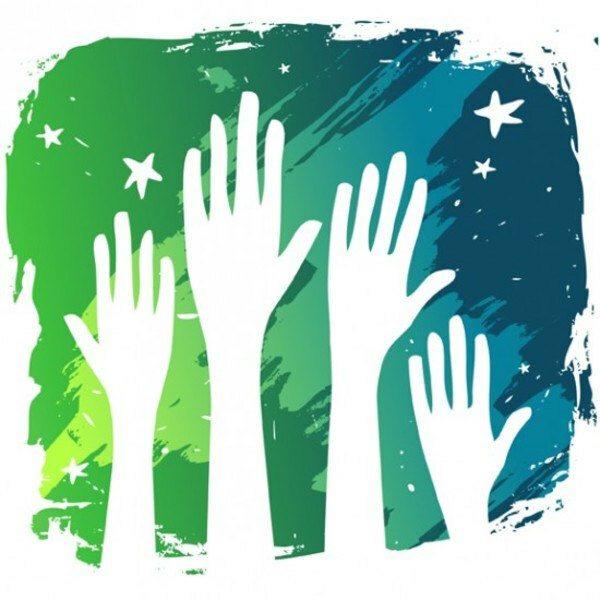 The registry has been updated with this gift from you: "Volunteer". If you've changed your mind or had trouble sending your donation, please check your inbox for an email from Thankful for next steps. Thank you! 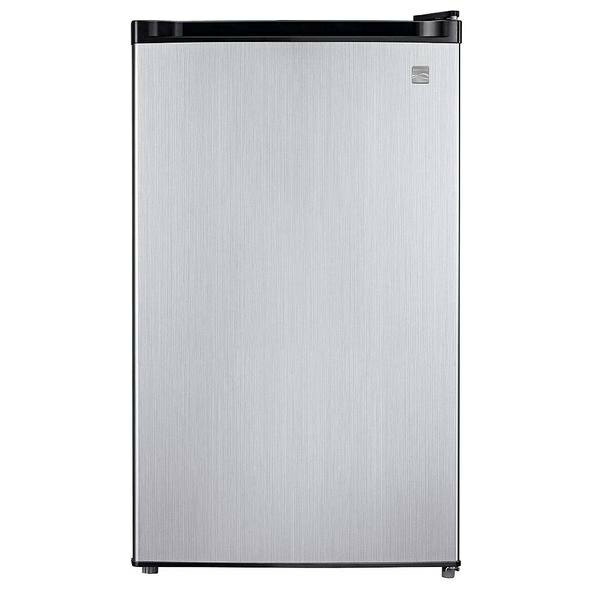 The registry has been updated with this gift from you: 1 of the "Mini Fridge for U-TURN" from Amazon Smile. If you've changed your mind or the item was out of stock at Amazon Smile, please check your inbox for an email from Thankful for next steps. Thank you! 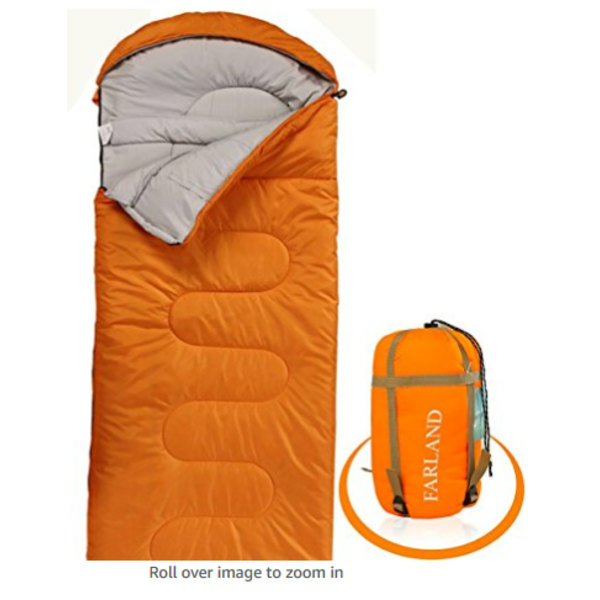 The registry has been updated with this gift from you: 1 of the "Sleeping Bag OUTREACH" from Amazon.com. If you've changed your mind or the item was out of stock at Amazon.com, please check your inbox for an email from Thankful for next steps. We can always use high quality protective shelter for our street dependent youth. Requested often. The best sizes are smaller than 10 ft long/wide. Thank you! The registry has been updated with this gift from you: 1 of the "Tarps OUTREACH" from smile.amazon.com. If you've changed your mind or the item was out of stock at smile.amazon.com, please check your inbox for an email from Thankful for next steps. Thank you! The registry has been updated with this gift from you: 1 of the "Pregnancy Pillow-NORTH" from Amazon. If you've changed your mind or the item was out of stock at Amazon, please check your inbox for an email from Thankful for next steps. Thank you! 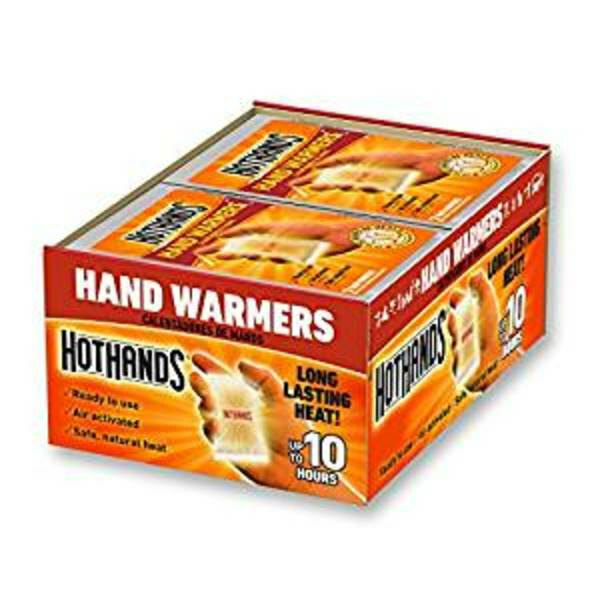 The registry has been updated with this gift from you: 1 of the "Hand Warmers OUTREACH " from Amazon. If you've changed your mind or the item was out of stock at Amazon, please check your inbox for an email from Thankful for next steps. Thank you! 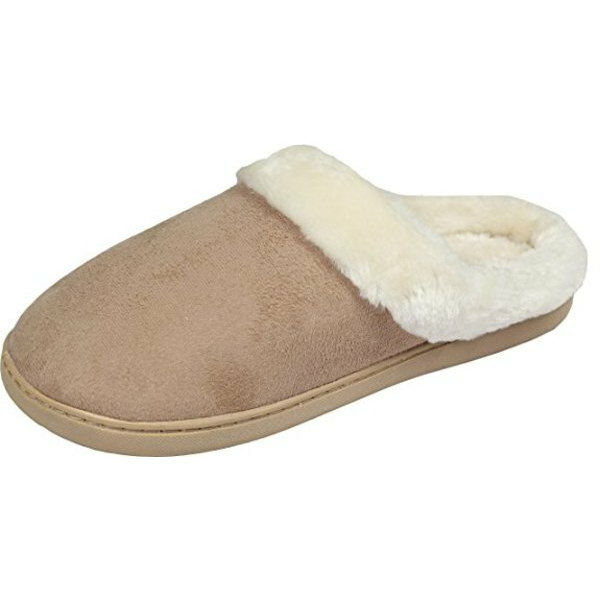 The registry has been updated with this gift from you: 1 of the "Women's House Slippers NORTH" from Amazon. If you've changed your mind or the item was out of stock at Amazon, please check your inbox for an email from Thankful for next steps. 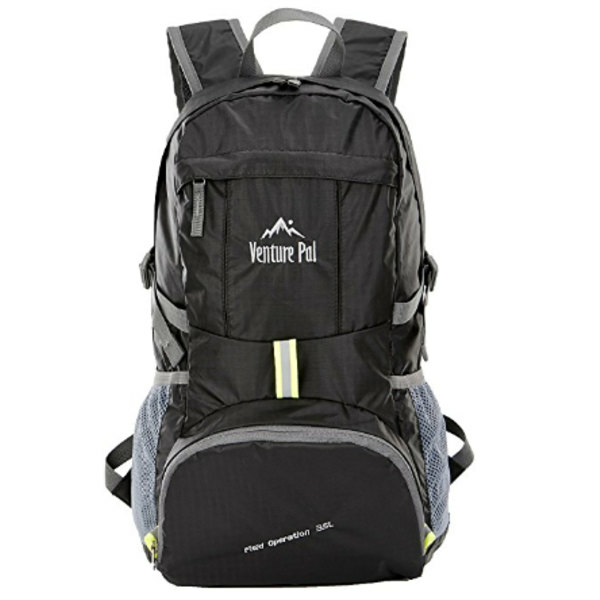 Backpacks are a high-demand item, for both our street-dependent youth, as well as those teens we are currently housing. Whether packing books for school, or carrying around necessities to their mobile residences, it's clear backpacks are an item that will always be needed! Most commonly, teens request plain black colored, with limited decorations. Sturdiness is essential! Thank you! The registry has been updated with this gift from you: 1 of the "Sturdy Backpacks OUTREACH/COMPLEX" from smile.amazon.com. If you've changed your mind or the item was out of stock at smile.amazon.com, please check your inbox for an email from Thankful for next steps. Thank you! 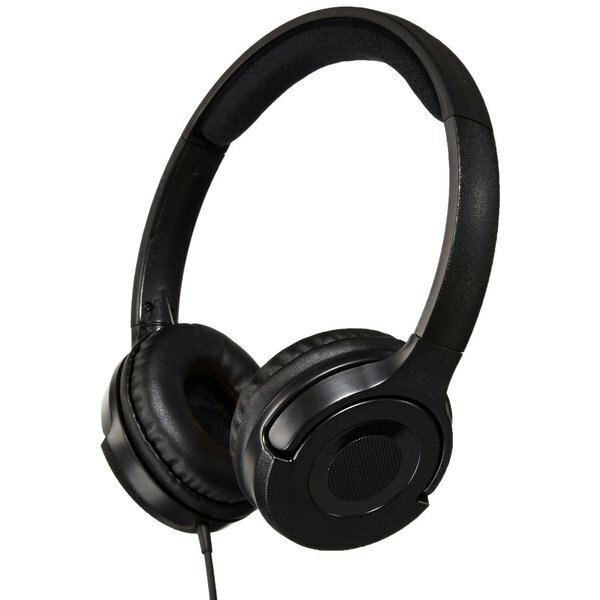 The registry has been updated with this gift from you: 1 of the "Headphones OUTREACH" from amazon.com. If you've changed your mind or the item was out of stock at amazon.com, please check your inbox for an email from Thankful for next steps. Boys & Girls sizes are needed! Thank you! The registry has been updated with this gift from you: 1 of the " Pajama Pants, Size Small-XL ALL" from Smile.amazon.com. If you've changed your mind or the item was out of stock at Smile.amazon.com, please check your inbox for an email from Thankful for next steps. It looks like this item has already been purchased for Cocoon! Thank you! 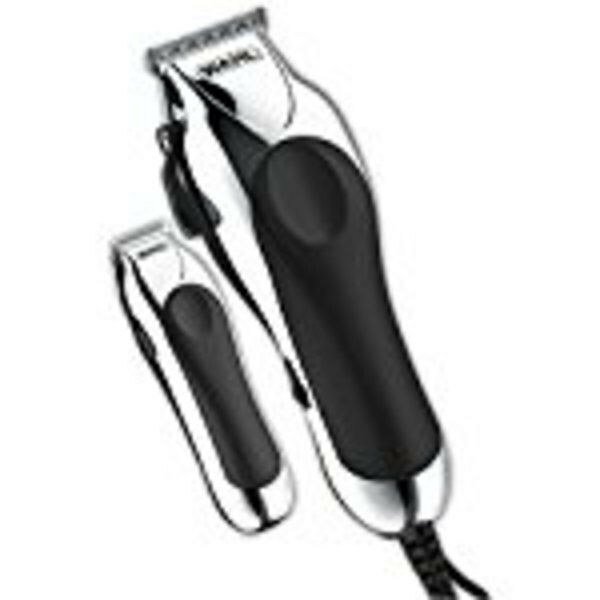 The registry has been updated with this gift from you: 1 of the "Wahl Electric Hair Clippers UTURN" from Amazon. If you've changed your mind or the item was out of stock at Amazon, please check your inbox for an email from Thankful for next steps. Thank you! The registry has been updated with this gift from you: 1 of the "Underwear for women - all sizes ALL" from amazon.com. If you've changed your mind or the item was out of stock at amazon.com, please check your inbox for an email from Thankful for next steps. Teens love to take selfies. Why not get them all in the picture? Thank you! 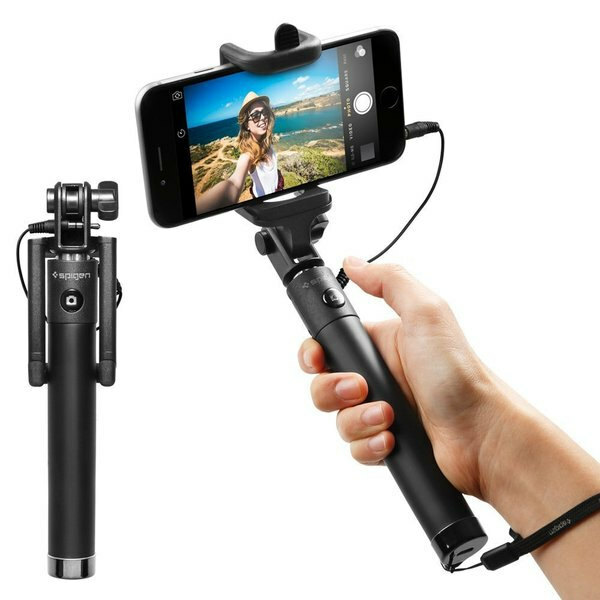 The registry has been updated with this gift from you: 1 of the "Selfie Stick" from Smile.amazon.com. If you've changed your mind or the item was out of stock at Smile.amazon.com, please check your inbox for an email from Thankful for next steps. We have employment programs that teach our youth employ-ability skills and job retention. These classes would HUGELY benefit from having a projector and screen to use! Thank you! 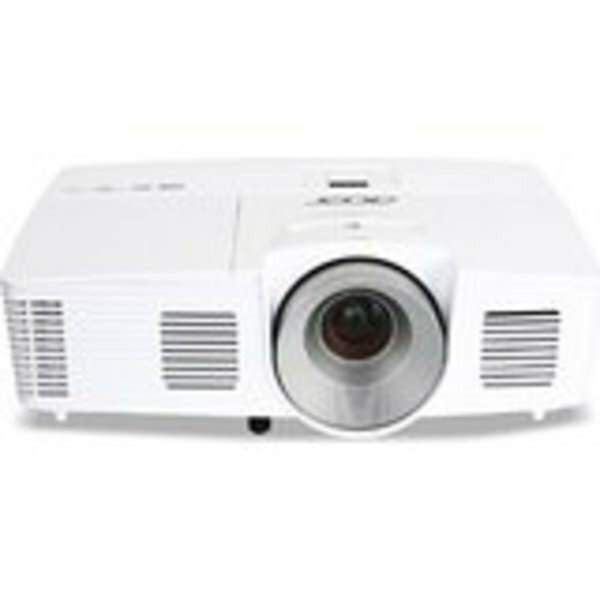 The registry has been updated with this gift from you: 1 of the "Projector" from Smile.amazon.com. If you've changed your mind or the item was out of stock at Smile.amazon.com, please check your inbox for an email from Thankful for next steps. 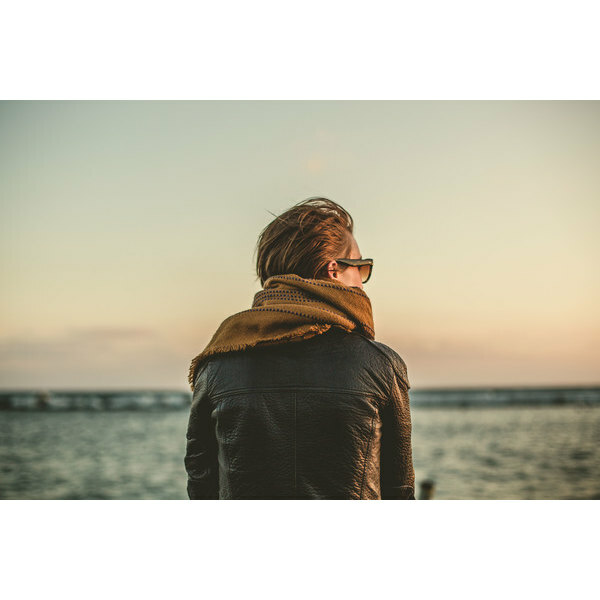 Street-dependent teens often struggle to organize the numerous appointments they need to keep in order to navigate the many institutional obligations, socialization times, and work/school. We've heard from many at-risk and homeless teens that these are also really helpful in tracking their clean and sober days. Let's help support their efforts to organize, prioritize, and succeed! Thank you! The registry has been updated with this gift from you: 1 of the "Appointment Books" from google.com. If you've changed your mind or the item was out of stock at google.com, please check your inbox for an email from Thankful for next steps. The resident Lounge at our long term housing is in need of a new TV. I would need to be flat screen and wall mountable. 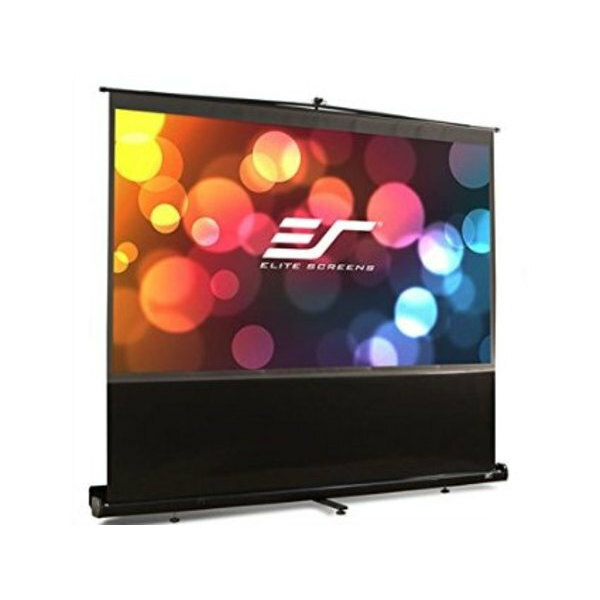 Ideally in the 50" range, as it is in a larger room. Thank you! 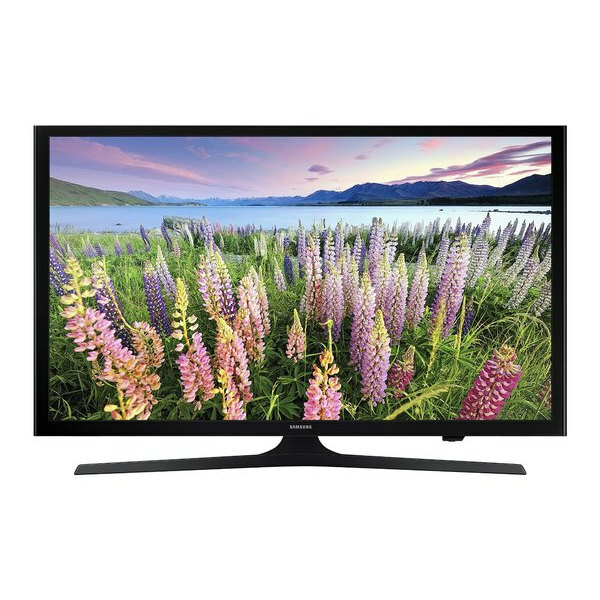 The registry has been updated with this gift from you: 1 of the "Flat Screen TV" from Smile.amazon.com. If you've changed your mind or the item was out of stock at Smile.amazon.com, please check your inbox for an email from Thankful for next steps. We're thankful for ending homelessness, breaking the cycle of poverty, providing safety and refuge, equality, inclusion, education, autonomy, empowerment!